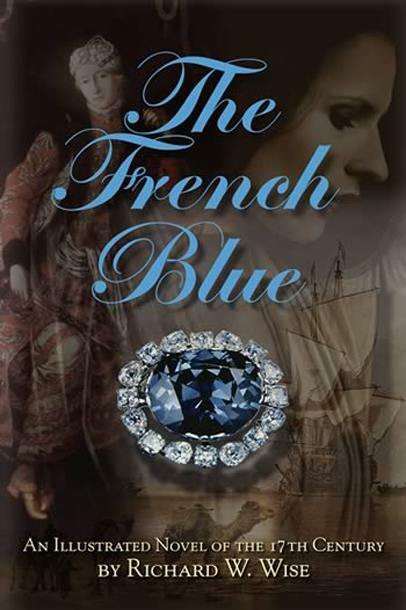 A narrative of the adventures of the French traveler and gem merchant, Jean-Baptiste Tavernier, The French Blue starts off with an exciting sea journey and meeting with the Aborigines of Australia as related by a visiting sea captain. Jean, already an excitable young boy, sets his heart on an enterprising future. After attempting schooling, military exploits and a stint as an amateur royal spy, Tavernier finally realized his dream of visiting the lands most likely to supply the precious gems he craved: Persia and India. These transactions, however, required careful diplomacy with the captains, leaders, emperors, moguls, princes, shahs and sultans of the various land and seas holdings. He had to play the perfect gentleman, yet make an honest profit from his dealings, which at times seemed impossible with the extravagant tastes and eccentric personalities of the imperial buyers. Madeleine–Tavernier’s main love interest–was born to a French mother who had been captured and sold in Persia. Like her mother, her beauty was renowned and she planned to make the most of it. Her story intertwines with that of Tavernier, finally coming together to a neat, satisfying conclusion. There’s not too much romance in the book, but enough to keep those happy who enjoy relationship dynamics. The heart of the story is the quest to find the finest diamond in the world and the prestige of having the name Jean-Baptiste Tavernier recorded in history. His faithful servant, Danush, provides many laughs and (to me) is one of the most endearing characters. Tavernier himself is very likable, as he is honest and politic in every situation. He’s extremely astute in his dealings and has luck on his side most of the time. Fast-paced and never boring, I found The French Blue to be immensely intriguing, being a more masculine read than my usual picks and an introduction to places and times of which I have never read. I learned a great deal about the different cultures, religions and ways of life of most of the populationnot living in Europe, which is very refreshing, as it seems I know 17th century France and England very well, but little of other places. If you are a lover of French history, however, you will find scenes with Richelieu, Mazarin, Colbert, Louis XIV and Athenais de Montespan, as well as descriptions of the Louvre and Versailles. Other famous depictions include the Taj Mahal and the Kama Sutra. The stories behind precious stones (with Tavernier’s own illustrations) are very informative, though there is not an over abundance of information on how gemstones are cut, there is much discourse on the clarity, color and value of the stones. This is the sort of history that you won’t find in a history book about France. In fact, I checked the indexes of The Timeline History of France by Ian Littlewood and The Splendid Century: Life in the France of Louis XIV by W. H. Lewis and found no mention of Tavernier, though he did sell the diamond to Louis XIV via Colbert. 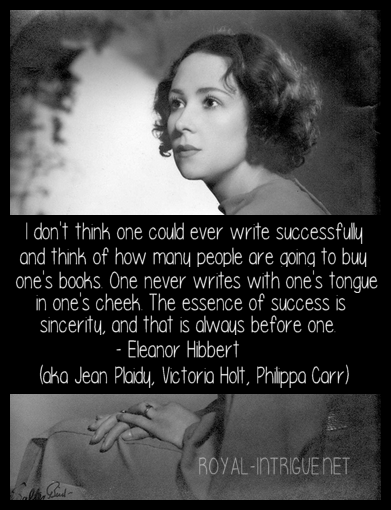 I did, however, find a diary entry by Tavernier in the book Eye-Witness to History (edited by John Carey) in which it describes the wives of men in India burning themselves on their husband’s death–I knew I read that before! 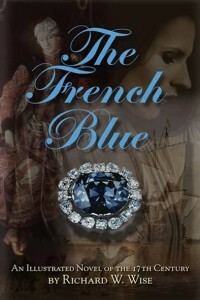 The French Blue, basically a story of the life of the man who brought the Hope Diamond (though it wouldn’t be so named until later) to Europe and sold it to Louis XIV, is filled with action and adventure in a historical setting that will intrigue lovers of the historical fiction genre as well as gem enthusiasts. Don’t let the size of the book intimate you–it seems daunting for a novel, but with short chapters and illustrations it goes by rather quickly. Dive in and enjoy the ride!